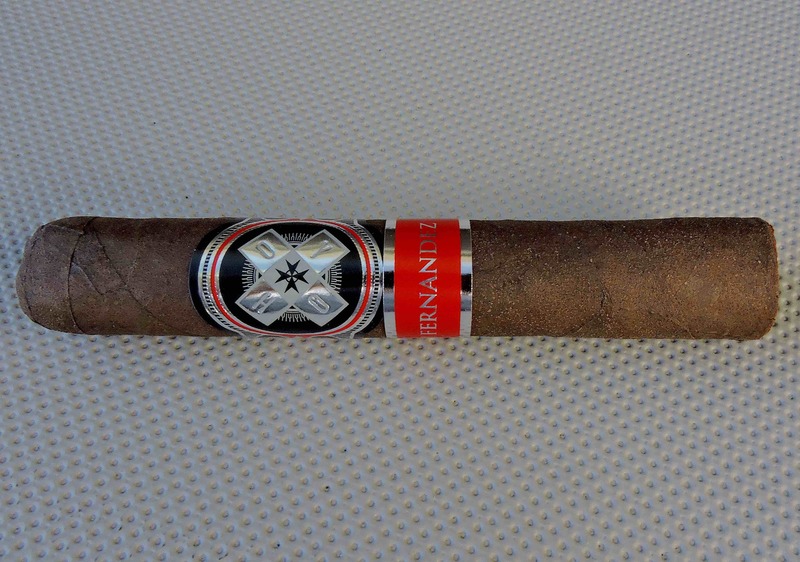 At the 2018 IPCPR Trade Show, General Cigar introduced its third Hoyo La Amistad cigar done in collaboration with AJ Fernandez, the Hoyo La Amistad Black. The Hoyo La Amistad Black added a dark oscuro offering into the Hoyo La Amistad line. Over the past 2 years, AJ Fernandez has worked with many companies, but with General Cigar and Tabacalera USA, he has had the opportunity to reimage many classic brands that have had their origins out of Cuba. In the case of Hoyo La Amistad Black, it is an offshoot of the legendary Hoyo de Monterrey brand. Today we take a closer look at the Hoyo La Amistad Black in the Rothschild size. The Hoyo line under Hoyo de Monterrey made its debut in 2015. At the time, Hoyo de Monterrey was celebrating its 150th anniversary. A limited commemorative cigar called Hoyo de Monterrey Edición de Cumpleanos 150 was introduced that featured a more contemporary look for the Hoyo de Monterrey brand. That look carried over into 2016 when the company launched the Hoyo line, which was based on the Cumpleanos 150 concept. At the time, General Cigar was positioning the Hoyo for what were deemed “small batch cigars, collaborations and other exciting special projects.” The collaborations have been seen with the Hoyo La Amistad line. 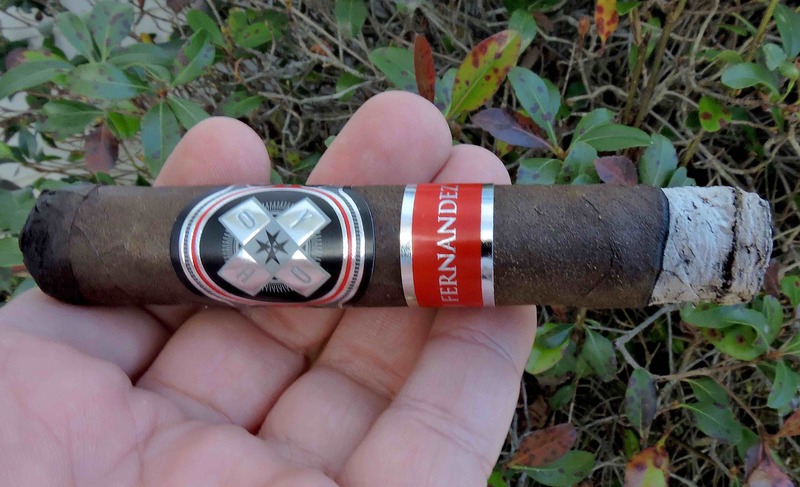 The Hoyo La Amistad has three releases done by AJ Fernandez at his Tabacalera Fernandez factory in Estelí, Nicaragua. Recently retailers have been shown a fourth release which has been known as the Hoyo La Amistad Dark Sumatra. Details of the fourth release have not been disclosed, but its anticipated the cigar will be released sometime in 2019. Without further ado, let’s break down the Hoyo La Amistad Black Rothschild and see what this cigar brings to the table. The Hoyo La Amistad Black line is a multinational blend consisting of tobaccos from Ecuador, Mexico, and Nicaragua. There are three sizes offered in the Hoyo La Amistad Black line. Each is presented in 25-count boxes. The Gigante size is box-pressed and that is the first box-pressed cigar done by Fernandez for General Cigar. The Ecuadorian Sumatra wrapper of the Hoyo La Amistad Black Rothschild had a chocolate-brown color to it. Upon closer examination, some mottling could be seen on the surface. There wasn’t much in the way of oil on the surface. There were some wrapper seams that were visible. At the same time, there was a minimal amount of visible veins. There are two bands on the Hoyo La Amistad Black. Both bands use a similar design pattern seen across the Hoyo line. The primary band features a black, silver, and red color scheme. On the center of the band is a windmill-like design on the front featuring the letters H, O, Y and O – with one letter sitting on each of the four wings of the windmill. There are red and silver pinstripes to the left and right. Additional red, silver, and white adornments sit on these pinstripes. The text “HOYO” appears in thin white font on a small red nameplate design. The secondary band has a thick red stripe with thick silver trim across the top and bottom. On the center of the band is the text “AJ FERNANDEZ” in large silver font. The cigar experience of the Hoyo La Amistad Black Rothschild commenced by using a straight cut to remove the cap. After successfully removing the cap, it was time for the pre-light draw ritual. The cold draw yielded a simple mix of coffee and black pepper and was enough to yield a satisfying pre-light experience. At this point, it was time to light up the Hoyo La Amistad Black Rothschild and see what the smoking experience has in store. The start of the Hoyo La Amistad Black Rothschild delivered more notes of coffee and black pepper. The coffee notes moved to the forefront early and there was a subtle dark black cherry sweetness to those notes. Meanwhile, the earth and pepper notes settled in the background. There was also an additional layer of black pepper on the retro-hale. Throughout the first third, the coffee notes remained in the forefront. As the Hoyo La Amistad Black Rothschild moved into the second third, the earth notes made their way into the forefront. During this phase, the sweetness that was joined at the hip with the coffee notes diminished. Meanwhile, a slight chalky note surfaced in the background with the black pepper which remained constant. By the final third, the earth and coffee notes remained primary. The pepper notes had increased slightly and moved in toward the forefront. The chalky notes that were present in the second third had dissipated. This is the way the Hoyo La Amistad Black Rothschild came to a close. The resulting nub was firm to the touch and cool in temperature. The burn to the Hoyo La Amistad Black Rothschild performed very well., This was a cigar that maintained a straight burn path and had a relatively straight burn line. The resulting ash had a light gray color to it. It was tight and firm and came off the cigar in clean chunks. As for the burn rate and burn temperature, both were in the ideal range. The draw to the Hoyo La Amistad Black Rothschild also performed quite well. The draw had a touch of resistance to it – which is something that I like. While it was not anywhere near a loose draw, the Hoyo La Amistad Black Rothschild was still a cigar that produced ample amounts of smoke. The Hoyo La Amistad Black Rothschild is a cigar that started out medium strength with medium to full body. Along the way, there was an increase in strength at the midway point – pushing the cigar into medium to full strength territory. Meanwhile there was a nominal increase in intensity of the body, but in the end the Hoyo La Amistad Black Rothschild remained in the medium to full-bodied range. As for strength versus body, I found the body maintained an edge throughout the smoking experience. In terms of boldness, I didn’t find the Hoyo La Amistad Black to be the boldest offering in the Hoyo La Amistad line. That honor still goes to the Hoyo La Amistad Black Silver. I would put the Hoyo La Amistad Black in the same wheelhouse as the Hoyo La Amistad Gold. Very simply, when comparing the Hoyo La Amistad Black with the Hoyo La Amistad Gold and Silver, the Black is going to fall short of those two previous releases. The Rothschild size of the Hoyo La Amistad Black is not a bad cigar. It is one that delivers good flavor. At the same time, I did not find this to be an overly complex cigar. The two previous Hoyo La Amistad releases set the bar high and this cigar simply does not score as well. Given it has good flavor and a good price point ($7.29), it is enough to still recommend this cigar. I’d steer this cigar to either an experienced cigar enthusiast or a novice looking to “graduate” into the medium plus range. As for myself, I’d pick up one of these for a quick smoke and have it again.